Your PC Feels and Performs Like NEW! Conserve energy without performance drops. Free massive amounts of space. Slim down on auto start entries. 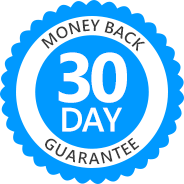 Ramp up your security settings and create a lean, secure and error-free system. The navigation bar offers fast access to every feature without the hassle of nested sub menus and each module provides clear how to instructions. Making modern technology usable - that is our goal! 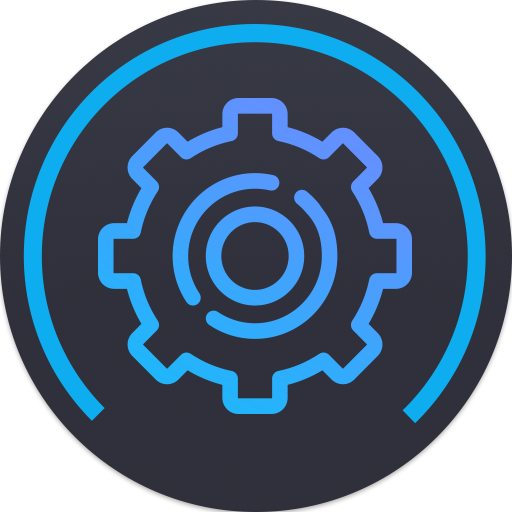 Our developers ensure the program remains fully usable even if your PC has just received OS updates. 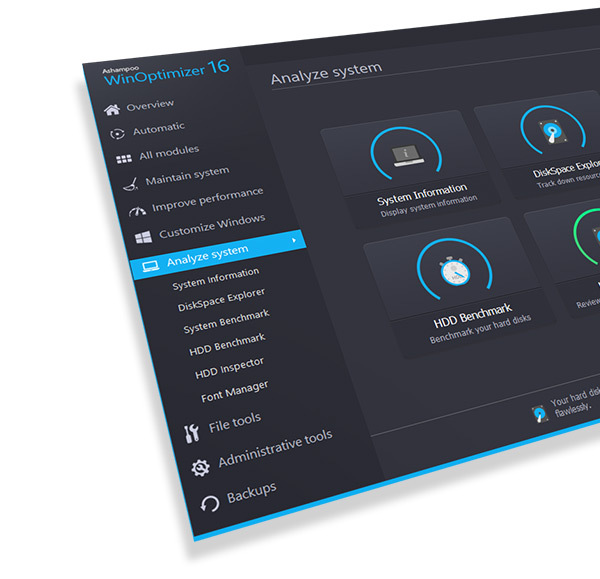 Through continuous program updates, your WinOptimizer always stays up to date no matter what changes are made to the underlying Windows OS! 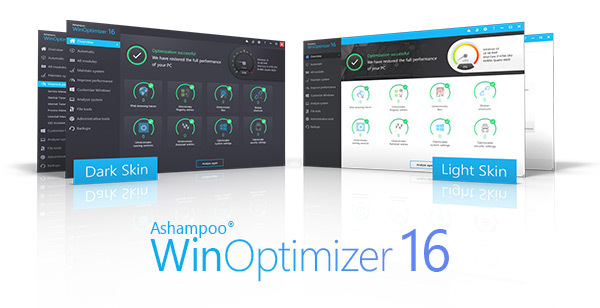 Win10 Privacy Control and Antispy, both included in the program, give you back control of your system! You decide which passwords, telemetry data or photos are sent out or, even better, kept private. Crack down on unsolicited tracking of your PCs, personalized ads or far too nosy programs! 1-click optimization is so popular because it takes care of several issues at once. Internet Cleaner eliminates web browsing traces that not only occupy space but also compromise your privacy and security. Drive Cleaner deletes redundant files to reclaim disk space. 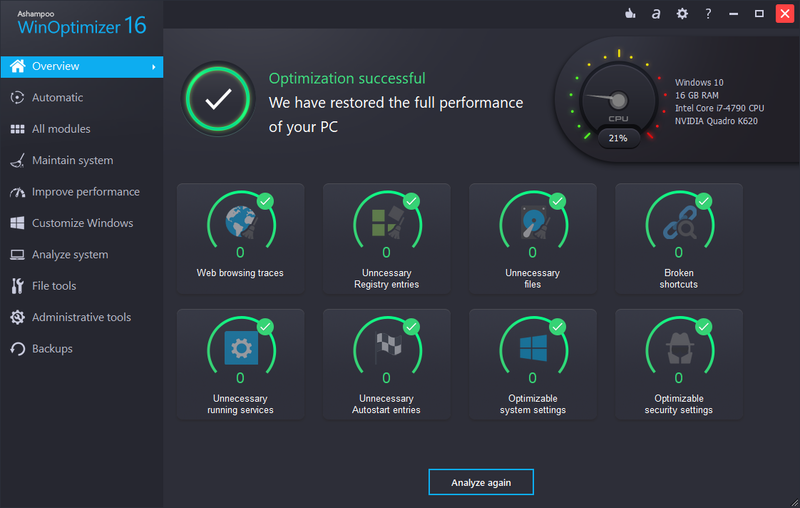 Registry Cleaner removes invalid Registry entries for improved performance and to avoid system errors. All it takes is a single click from you! A total of three clever modules take the bulk of the work off your shoulders. Live-Tuner performs real-time tweaking to accelerate program launches. You can also customize it manually to modify process priorities. 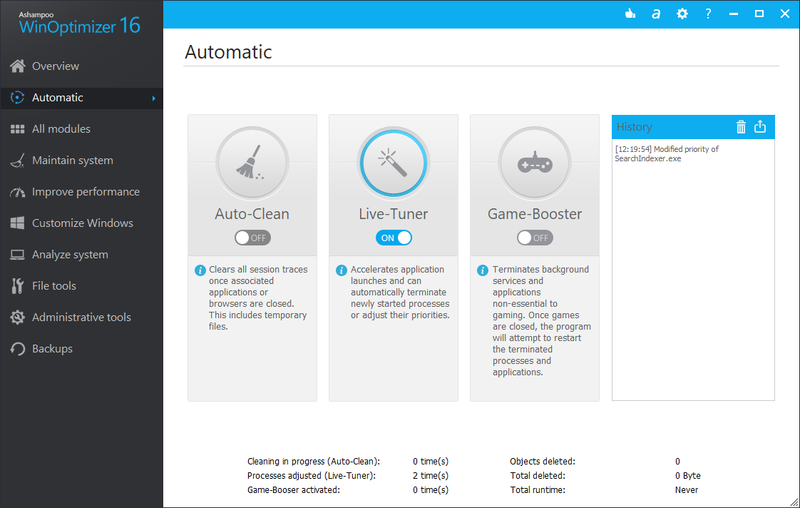 Game-Booster terminates all background processes non-essential for gaming to give your games the ultimate performance boost! Once you exit the game the changes are reverted automatically so you can continue working normally. 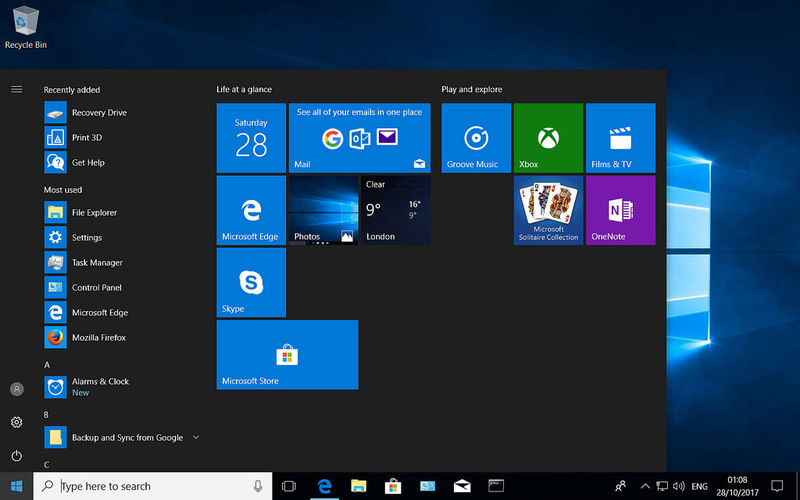 Put an end to Windows' built-in spyware! For a three times better PC. 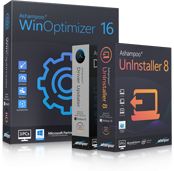 Ashampoo® Driver Updater keeps system drivers always up to date for maximum performance all the time. 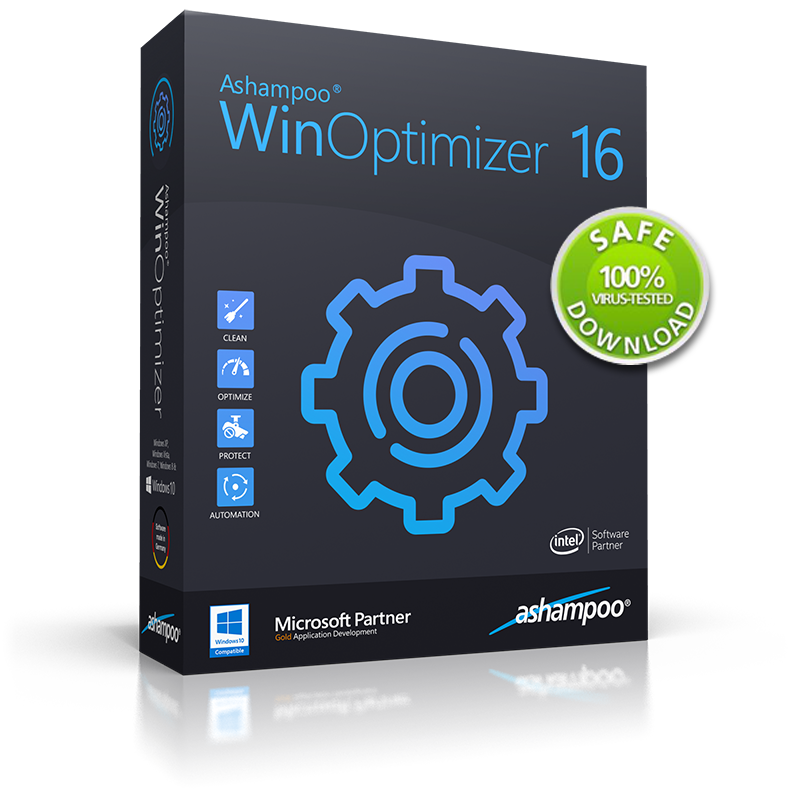 Ashampoo Winoptimizer is one of the best applications for optimizing and cleaning Windows. 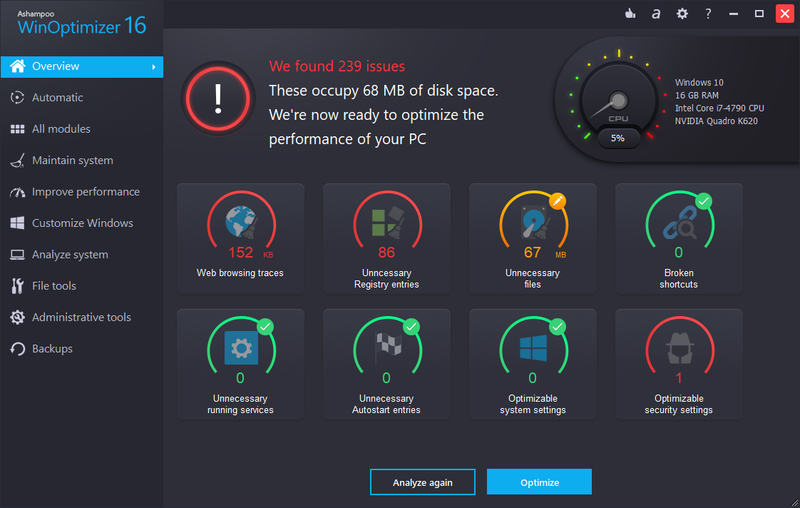 Thanks to a variety of tools you can perform plenty of operations such as defragmentation, tweaking, cleaning and many others. 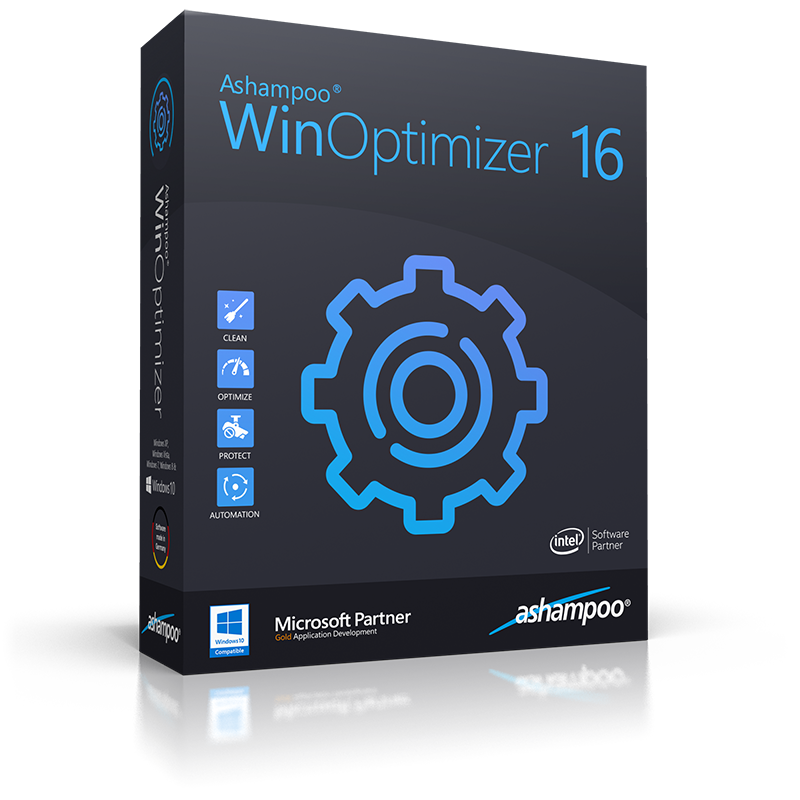 Ashampoo® WinOptimizer is a necessary program, that should be installed on every computer. 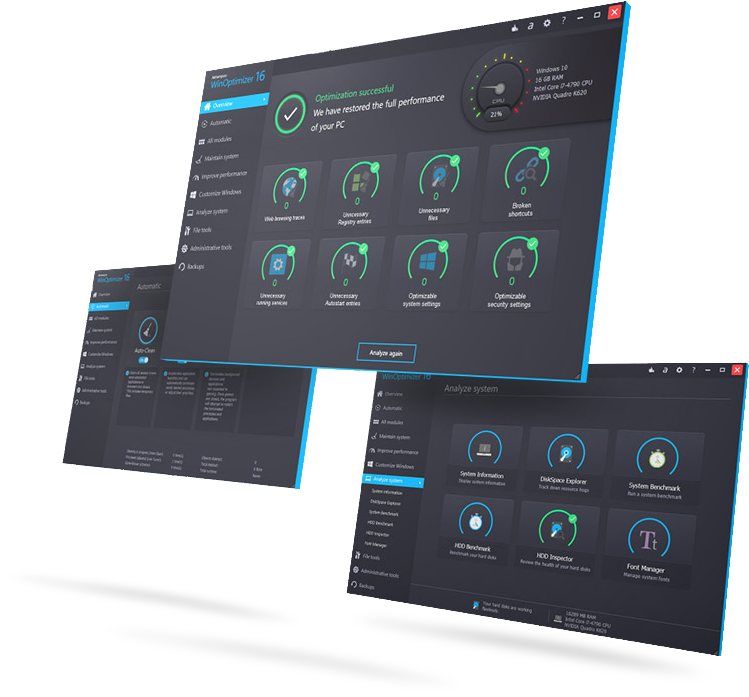 The three pillars of modern system optimization: cleaning, optimizing and protecting are the non plus ultra of optmization software. Very clear, very intuitive and very easy to use.